So are you the kinds who is always hungry to learn something new? A new art, a new talent, a new experience and a new YOU! Then this is your paradise! 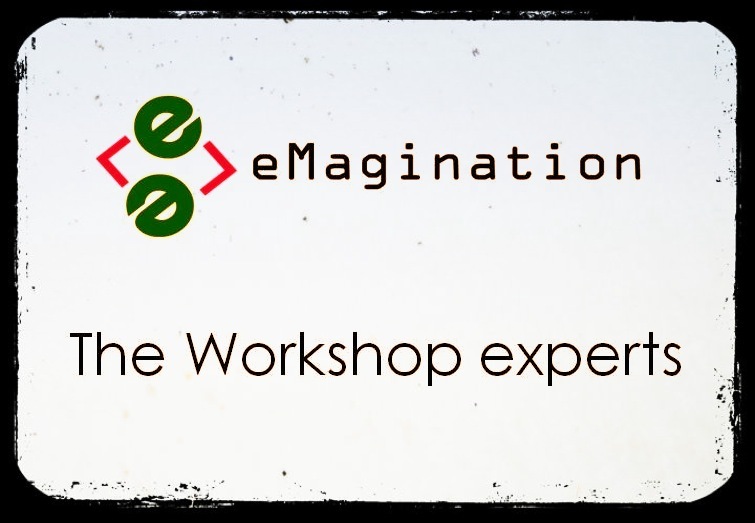 We at eMagination have this endeavour to let the joy of art & talent flow through every soul! An obvious by product of this desire is our “Creative workshop” vertical. The Creative workshop vertical is to bring the best trainers in the fields of dance, music, theatre, art and craft available under one roof to provide special group workshops for corporates, adults and kids. These workshops are customized to meet the group’s expectations and ambitions. – Theatre : workshop for a brief training in theatre, trained by the professionals from the theatre industry, with extensive international exposure. The trainers come with great exposure of the Indian and international theatre, films and television. – Art/craft : these workshops include basic painting, traditional art, tribal art, punch craft, paper mashe, creative art of wrapping, pottery, paper craft, etc. – Food & beverage skills : special workshops to train to make the best of cuisines and drinks, taught by professionals. – Dance : we offer workshops in all possible forms of popular dances like jazz, salsa, Bollywood, semi-classical, etc. – Yoga : special batches are conducted to meet the requirements of the participants via power yoga, hatha yoga and other popular forms of yoga. – Self defense : workshops to start from basics of self defense, to martial arts training, kick boxing, tai chi, karate and other related variations. – Personality development, grooming : to bring out the best out of one’s personality through enriching excercises and activities to groom participants and develop their personalities. – Art of living, medidation and hypnotherapy : for the internal well being, stress busting, inner peace and constructive thinking of an individual. These workshops focus not only on creative learning but also on team building, creative expression, stress busting, enhancement of brain power and concentration, focus, inner peace and direction, body flexibility and agility resulting an overall growth and well being of the body. Our purpose is to be a medium to reach out to larger groups of people and facilitate such workshops across the country in schools, IT/ITES companies, universities, manufacturing units, factories, colleges, societies, women groups etc. So if you have the hunger to learn, we are just a call away!